From AutoCAD to Revit, AutoDesk is the company behind your favorite design software programs. Without AutoDesk, architecture and design as we know it would be completely different. Who knows what the world would be like without the programs we use to put all those ideas we have in our heads into action? It’s because of AutoDesk, a company founded just 35 years ago, that we live the way we do. 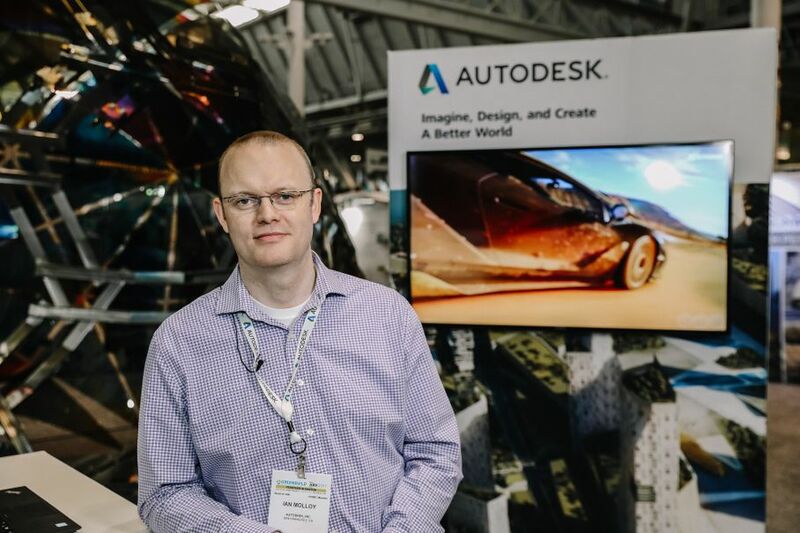 In speaking with Ian Malloy, senior product manager at AutoDesk, during the 2017 Greenbuild Expo and Conference, we heard firsthand about some of the neat features of this multinational company. Are you a designer, manufacturer, or interested in the home and product building industries? If so, you’re bound to run across AutoDesk sometime in the future. Therefore, expos such as Greenbuild are an ideal place for the company. In fact, AutoDesk has a long history with Greenbuild. They’ve been there from the very beginning. Likely, this all stems back to AutoDesk’s mission which is to imagine, design, and create a better world. “Greenbuild represents that mission well,” Ian says. At Greenbuild, AutoDesk is playing a major role. Not only are representatives on-hand to talk about the product to new clients in the industry, they’re also there playing a support role. Ian explains, “Specifically here at this show, we solve a lot of problems.” Remember, their software reaches everything from design, construction, and operation. So virtually everyone here at the conference uses AutoDesk in some capacity. AutoDesk offers dozens of software programs that tackle everything from homebuilding to energy use. AutoCAD, the omnipresent software program used by virtually anyone who delves into design, could potentially be considered AutoDesk’s signature program. CAD (computer-aided design) allows users to create versatile technical drawings. Bim 360 is another popular program, is a construction management project software helping the user to manage everything from the pre-construction process to reducing waste during construction. One last product of mention (there are dozens more if you’re interested in learning about them) is Revit. AutoDesk’s Revit helps streamline the building information modeling, including structural engineering and construction. Regardless of the software you’re looking for, AutoDesk has a design and management solution for you. Don’t worry if you don’t fall into these particular categories, either, because AutoDesk also produces software for the media and entertainment industries as well. Now, that’s food for thought. Moving forward, AutoDesk has grand plans to continue expanding. “Technology is a key enabler to more growth,” says Ian. With their vision and scope, we have no doubt that AutoDesk will be leading the way.